Program is 9 a.m. - 4 p.m. local time and includes breakfast and lunch each day. 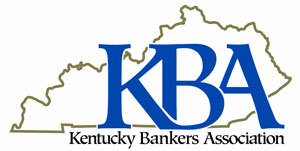 Registration (on the first day only) begins at 8:30 a.m.
Holiday Inn Express & Suites, 800 West Market Street, Louisville (502) 583-2552; be sure to mention you are attending a KBA program to receive our rate. We do NOT have a room block at any of these hotels. All are within walking distance of the KBA office. Proper analysis of consumer loan requests is more important today than any time in the history of banking because of the past economic environment worldwide which has left many consumers in a weaker financial condition than in the past. For this reason and the need for banks to continue growing the consumer loan portfolio safely, it is important for bankers to adjust their lending practices to insure the next consumer applicant is not becoming overextended and unable to meet their obligations. These steps will explore methodologies to thoroughly accomplish successful consumer underwriting and will utilize lectures and case studies to reinforce the concepts presented. Understand individual strengths and weaknesses during the business development process plus proven tips to enhance success on the sales call. The order of sessions below is subject to change.